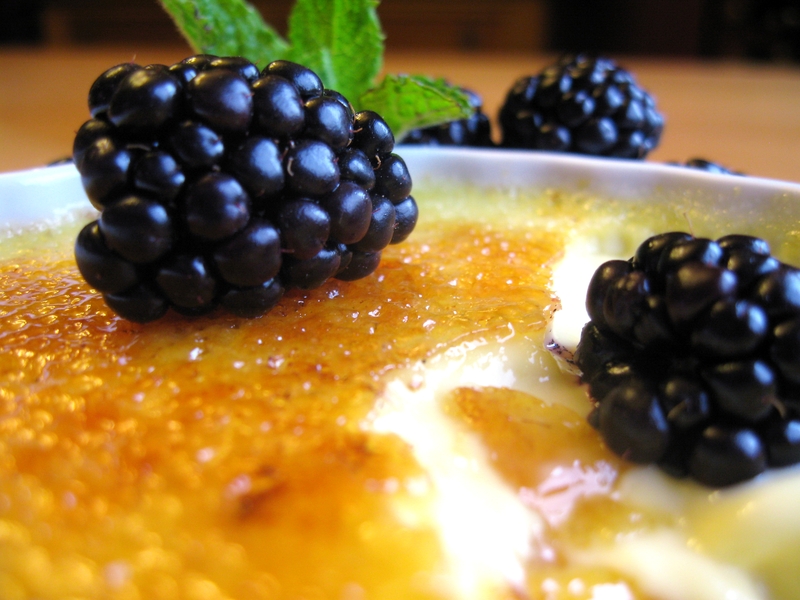 Perhaps there is nothing more embarrassingly simple than custard, yet, it is so profoundly rich, silky, and delicious. It is easy, inexpensive, and elegant, perfect for a dinner party. After all, you can make it days in advance and burn the sugar topping right in front of your guests…or better yet, let your guests burn their own sugar (it’s dinner and a show), and you likely already have all of the ingredients on hand. You can flavor it in any way you want: chocolate, Grand Marnier, lavender, espresso, amaretto, lemon, etc. The possibilities are endless. 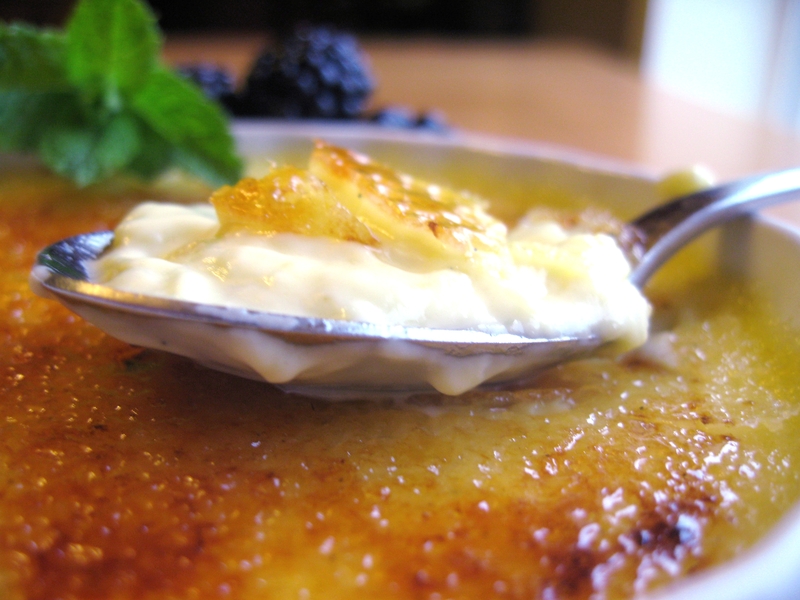 Here I stuck to the classic, adding a vanilla bean, and vanilla sugar to the scalded cream and egg yolks. But the basic recipe and process are always the same. 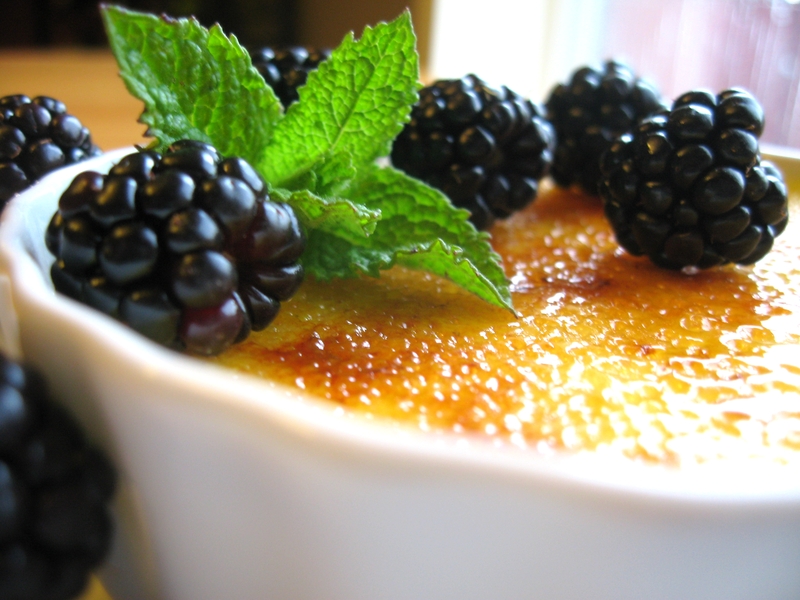 Serve it up with a few fresh berries, and sit back and enjoy the applause. This post made the Foodbuzz Top 9!!! I can HEAR the crackle. Sigh. Lovely. holy hell! i WANTTTTT! it’s sooooo delishhh! and elegant, right? 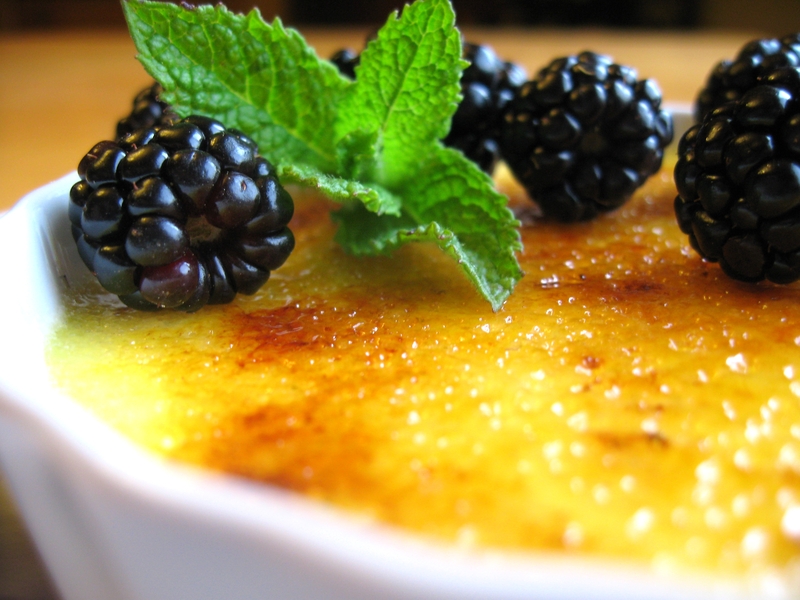 I adore crème brûlée as well as your website! So glad I found you! OMG….that looks just perfect!!! your images are amazing, they are making me soooo hungry! You really seem to have succeeded with the hardest part, the crystallized sugar on top. It looks amazing! I would love this recipe- I do not see it in your blog? ?